This move allows mario to fly up into the sky and call his friends Luigi, and Toad. Then, the fly even higher and dash down like bees and they kill you like squishing an ant. Attack 2 : MEGA PROPPELER! 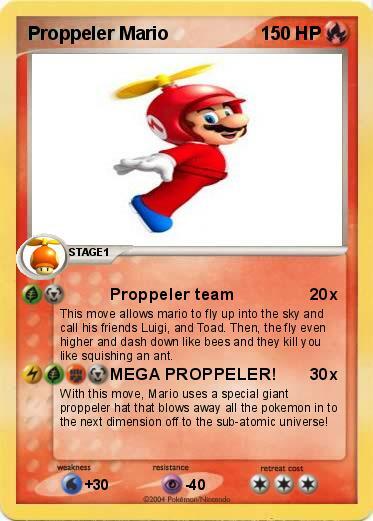 With this move, Mario uses a special giant proppeler hat that blows away all the pokemon in to the next dimension off to the sub-atomic universe!